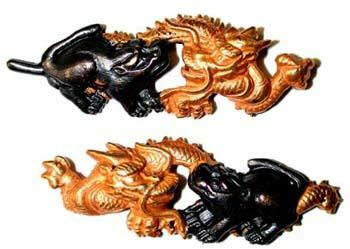 A very rare and seldom found menuki theme depicting the dragon and tiger battling each other. Available only in multiplate, as above. 1.7 inches (43mm) long.